February 6, 2012 /158 Comments/in Featured Articles, Jews in Economy/Finance /by Edmund Connelly, Ph. D.
We’ve all heard the adage “He who pays the piper calls the tune.” Now let’s consider what that means in today’s America. The project was hijacked when the gullible Winklevoss twins entrusted Mark Zuckerberg and his accomplice, Eduardo Saverin, to help execute the project. (See also Kevin MacDonald’s review.) The movie adaptation of this true story is a fevered Jewish revenge fantasy against their hapless arch-enemies, the reviled WASP “insiders.” Both the book, by Ben Mezrich, and the screenplay, by Aaron Sorkin, wallow in defeating the earnest brothers, heaping these two iconic American Christians with humiliation after humiliation. Whew, there are a lot of familiar themes there. 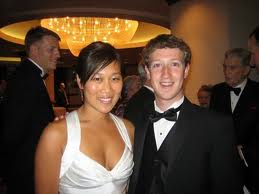 Now, I’m going to assert that the success of Zuckerberg and Facebook did not occur in a vacuum. I suspect that he had ample help and support from the wider Jewish community. If a dedicated team of researchers were to spend five years investigating everything about the rise of Facebook, I believe they would find instance after instance of support from Jewish lawyers and judges here, Jewish journalists there, Jewish politicians (and their lackeys) everywhere. It would amount to a full-court press. It would be the usual pattern of Jewish ethnic networking. The whole thing brings to mind the old case of who won the patent for the invention of television. It’s pretty much the same story as Facebook: Philo Farnsworth invents it, but it ended up in the hands of David Sarnoff and RCA, thereby gaining not only immense wealth but massive social control. Next, I’m going to assert that Zuckerberg will support the usual Jewish causes following the dictum “whatever’s good for the Jews.” So far, however, that doesn’t seem to be the case, as he tossed off $100 million “to improve the long-troubled public schools in Newark.” That means he’s currently following the hip but largely hopeless trend to donate to African American welfare. 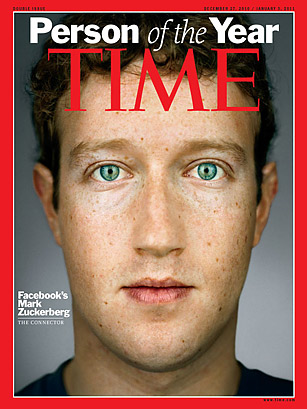 Zuckerberg is still young, though. Keep an eye on him as he ages. He may well begin to steer some of that immense wealth into causes favorable to Jews, including those such as open borders immigration into traditionally White countries. The Zionist parents . . . are now insisting that the school give up on its Quaker principles and start to operate as a Yeshiva. They openly lobby against tolerance, freedom of expression and relentlessly suppress freedom of speech. As we always knew — in the ‘land of the free,’ money can buy everything. In fact, what we see here is a microcosm of the Zionification of America. Once Zionist money changes hands, tribal indoctrination will soon follow. The Wall Street Journal confirmed this week that some parents “vowed to pull their applications in protest” unless their demands are met. The message to the Quaker seminary was clear – surrender or face financial extinction. I wish America and the Friends Seminary’s Quakers lots of luck, because in this battle we are all together. We’re all Palestinians seeking liberation. As I once wrote, “The topic of Jews and money is forever important.” You can take that to the bank.